We have previously written about various cases on worker status arising from the ‘gig economy’. Companies including Uber, Citysprint and Pimlico Plumbers have been on the losing end of decisions where they have sought to argue that their contractors are self-employed. 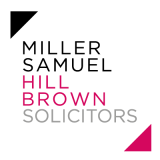 The trend for the courts has generally been to find that purportedly ‘self-employed’ contractors working for such companies are in fact workers who are entitled to the benefit of minimum employment law rights such as holiday pay. Some further recent decisions indicate that this issue may apply more broadly to other types of employment (or self-employment). For example, we noted in a previous blog that there was a case proceeding against the National Gallery raised by a group of “art educators”. The Employment Tribunal in that case has now given its decision. The case was brought by 27 claimants, although the decision only concerns 6 ‘lead’ claimants. They worked as what the tribunal referred to as ‘educators’ for the National Gallery, carrying out duties such as guided tours, lectures and workshops on art and the history of art. Their contracts purported that they were independent contractors. In 2017, the Gallery carried out a reorganisation which led to the services of the Claimants being dispensed with. They made a range of claims including claims for holiday pay, unfair dismissal, age discrimination and failure to consult on redundancy. This led to a preliminary hearing as to their employment status, as unfair dismissal and failure to consult on redundancy are claims which are only open to employees. - The educators were on ‘probation’ for six months at the commencement of their work with the Gallery, had to undergo training and assessment by being observed and were considered temporary before they passed the relevant assessment. - There was no guarantee of work and they were not obliged to accept work offered. - The contract provided they were not employees and they were not entitled to pension or other benefits. However, they did get some benefits, such as use of the library and other facilities, discounts and invites to events. - It was accepted there was no right of substitution when they were unable to fulfil an assignment previously accepted, nor any evidence that this occurred in practice, and the educators were therefore providing services personally. - There was a certain amount of direction and control on the Gallery’s part, such as dictation of the style of presenting, not being allowed cue cards and so on. - They were integrated into the business of the Gallery and held out as representing it, were included in promotional material and on the Gallery staff list. The Claimants did not work for the gallery at all times, and were effectively offered or allocated work based on availability they provided from time to time. The tribunal found that there was no ‘umbrella’ contract, meaning that the Claimants were not employed during periods they were not working for the Gallery – there was no ongoing overarching relationship. However, it held that during the periods they were carrying out work, they fell within the definition of ‘worker’ for the purposes of the Employment Rights Act 1996 and the Equality Act 2010. The tribunal found that there was an element of mutuality of obligation and no right to substitute. It noted that various factors, including the level of control and integration, the recruitment process and the fact that pay was set by the Gallery pointed to the conclusion that the contract could not be said to be an arm’s length commercial agreement, nor could it be said that the Gallery could be considered a ‘client’ of a business being run by the educators. For these reasons, the Tribunal found the educators had “worker” status and should benefit from the rights which came with that. Although this is a first instance tribunal decision, and therefore not binding on other tribunals, it is interesting as it broadens the scope of worker status questions beyond ‘gig economy’ companies and shows there may be a wider category of professions where this may be an issue. It is also the first case of this nature to relate to the public sector. A further recent case was heard by the EAT (Exmoor Ales Ltd & Another v Herriot). This related to a Claimant who provided accountancy services to a brewery (through a partnership with her husband) from around 1990. In 2011, the brewery began paying a quarterly payment of £1,000, which she said was because she was required to work exclusively for the brewery. When the working relationship ended in 2017, she made various claims including unfair dismissal and discrimination. The brewery argued she was not an employee and so could not make these claims. The tribunal found that the Claimant had been an independent contractor until 2011, when she became an employee. The brewery appealed, but their appeal was rejected by the EAT. It found that the tribunal had considered numerous factors, and factors pointing away from employment status were overridden by others including mutuality of obligation, the level of control, and the fact that the Claimant was not entitled to appoint a substitute in her place. These along with the exclusivity obligation were the decisive factors in establishing employment status.